Never before has such damning evidence of war crimes and crimes against humanity been revealed in the midst of a conflict. As civil war raged in Syria, we owe the disclosure of this evidence to one man. He goes under the codename of Caesar. This military police photographer was required to document the murder and torture of thousands of Syrian civilians in the custody of the Assad regime. Over the course of two years he used a police computer to copy the photos, and in 2013 he risked his life to smuggle out 53,000 photos and documents that show prisoners tortured, starved and burned to death. Caesar exists. The author of this book has spent dozens of hours with him. His testimony is extraordinary, his photos shocking. 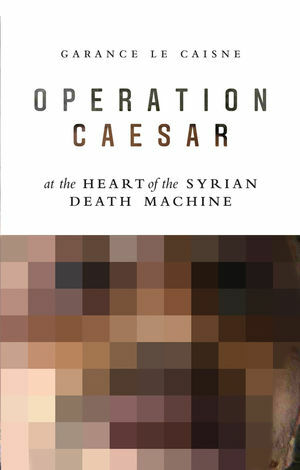 The uncovering of the workings of the Syrian death machine that underpins his account is a descent into the unspeakable. In 2014 Caesar testified before the House Foreign Affairs Committee and his testimony provided crucial evidence for a bipartisan bill, the Caesar Syria Civilian Protection Act, that was presented to Congress in 2016. Caesar’s photos have also been shown in the United Nations Headquarters in New York and at the Holocaust Memorial Museum in Washington D.C.
For the first time, this book tells Caesar’s story. Garance Le Caisne is an independent journalist. Having lived in Cairo in the 1990s, she covered the Arab Spring and travels regularly to Syria. Her articles have appeared in publications including Le Journal du Dimanche and L'Obs.